Yoannis Tamayo is the star of Afro Cuban Dance, master of Rumba, blessed with a style that cannot be copied and a contagious energy. 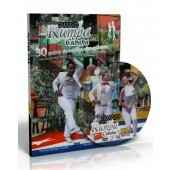 He once was a professional dancer at 'the Casa de la Musica de la Troba' in Santiago de Cuba. In Europe he teaches many classes in the big salsa studios. He has trained the founders of the Elegua Dance Company in Paris. Yoannis started out dancing Son and Salsa. His current style of dancing, which he himself calls 'Afrofusion' is a mixture of the different dances of the Afro Cuban culture. 'Our roots are more African than Spanish. Fusion because if you dance my way you are mixing Afro, Son, Salsa and Rumba. Yoannis is characterized by his educational values, his energy and, as the Cubans say, his feeling of 'manana' (tomorrow). 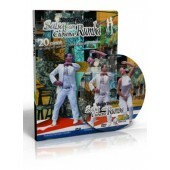 Yoannis' dance products are available on Zone Free DVD.